4D has custom engineered systems to aid in the production measurement of contact lenses and lens molds. Accurate measurement of radius of curvature and optical thickness ensures adherence to prescription for proper fit and correction. 4D PhaseCam interferometers aid in the measurement of the corneal surface and the thickness and variation in the tear film. 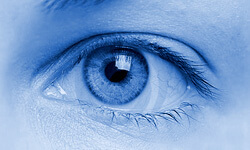 The unique instruments aid researchers in studying eye responses to help improve vision correction and to understand complex eye mechanisms.